“The book is very timely and appropriate as the silicon hub of India is already on the verge of collapse." - Mr. Suresh Pandit, Management Guru. 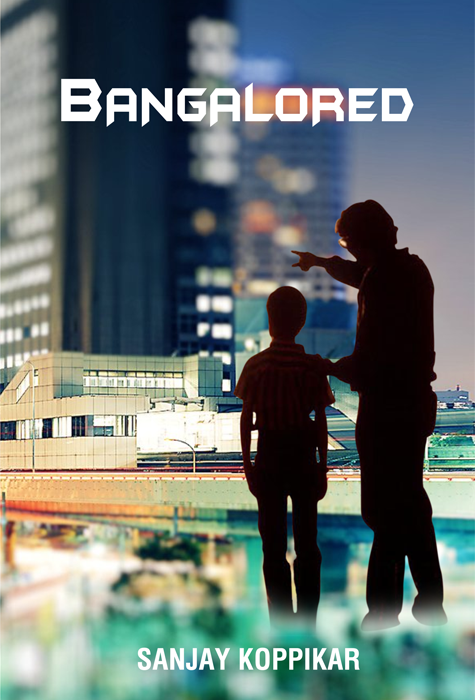 “Floored by 'Bangalored' - An awesome novel, one that was just too hard to put down from the moment I picked it up! So gripping that I could stay up all night reading it! Fiction that was so racy that it deserves to be made into a movie! Sanjay Koppikar, take a bow!" 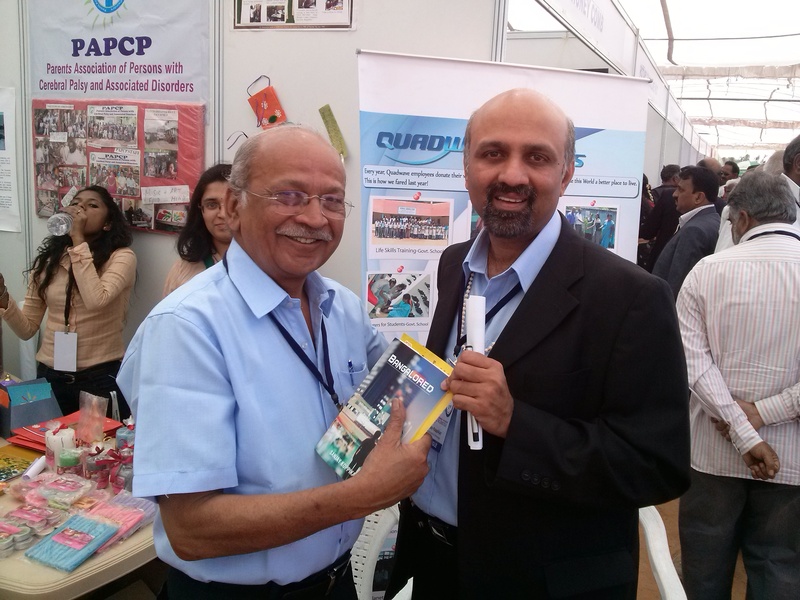 “I have read Sanjay Koppikar's book Bangalored with great delight. It is easy to read, with simple, elegant and fluent language, an excellent storyline, conveying an excellent social message. Kudos!" “A very gripping story, very well narrated. Love for work, society, environment, personal life & responsibility to humanity, all described so well fictionally, by Sanjay Koppikar. A inspiring story so well told with all the masala needed to keep you hooked on till the end." It is 2020. Bangalore is dead. Yash Deshpande, a 22 year old NRI, returns to Bangalore to seek answers to the secrets behind his father’s sudden death . Sid Deshpande, his father, a dynamic man with great morals had always been Yash’s role model and his super hero. Sid was a successful software entrepreneur who set up his company in Bangalore in 2004 before moving to the Bay Area in 2015. Yash gets a glimpse into his father’s struggles and how he managed to set up a successful company when he comes across his father’s digital diary. The past and the present are juxtaposed and Yash slowly begins to unravel the mystery behind his father’s death. What he discovers will change him, and force him to see the city he couldn’t wait to leave, with new eyes. ...or buy the book directly from us! He started his career as an 18 year old in IT industry from Dharwad, Karnataka before moving down to Bangalore. 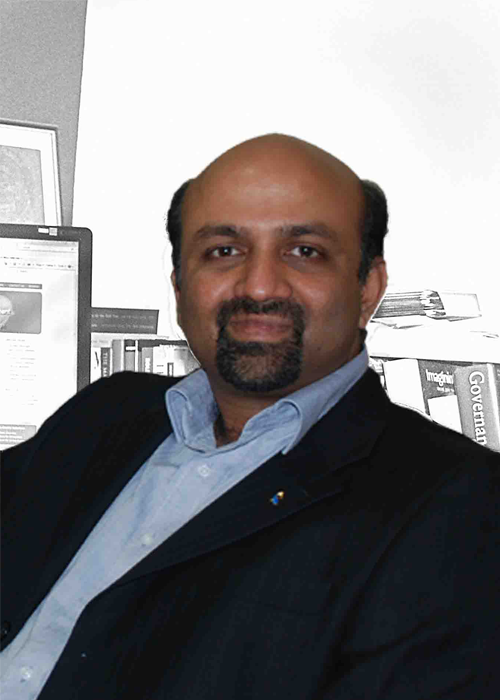 He is an executive alumni of IIM Bangalore. He stays in Bangalore with his wife, Varsha and son, Yash. Bangalored is his first novel. The video begins and the camera pans across a sea of young and eager faces. It pauses at the stage where the announcer requests Sid to come up. There’s loud applause as Sid walks across to the announcer towards the podium holding on to some papers, presumably his speech. He has a restrained but slightly proud smile on his face as he begins his key note address. ‘I had a dream,’ he begins and a hush falls over the auditorium as every audience member is straining to listen to him. ‘And this city helped me realize it!’ There is a smattering of applause from the proud Bangaloreans in the audience. Sid smiles, aware that he has their attention. Click here for a sample chapter! ‘Ladies and gentlemen, thank you for giving me the opportunity to share my love story with Bangalore with you today.’ Sid adjusts his reading glasses and looks at the papers before him, before he looks up at the audience once again. ‘Today, people may recognize me because of the billion dollar acquisition. But just a few years ago, I was like any other small entrepreneur - unknown, struggling, fighting but proud and enjoying it while it lasted.’ The camera pans towards the audience and many seem to be nodding their head and then it focuses back on Sid who is shuffling his papers. Sid then pushes away the papers and takes off his glasses. He looks more comfortable as he smiles at the audience and poses a question to them. In the audience, people seem to be confused but most of them slowly raise their hands while looking at each other. ‘Everyone remembers the great innovators, their success stories, their passion, and mainly their billions.’ There are a few laughs across the auditorium. ‘These were the guys who were lucky to be prepared when opportunity came to them. But no one really wants to consider their struggle and all the difficulties they faced to become the men and women they became. That’s the unfortunate part of these corporate fairy tales. No one will tell you about the struggles but will only paint the glorified successes. ‘Let me tell you a story,’ he started out in his typical way of grabbing attention. ‘XYZ struggled for ten years in this very city before we could make some impact. It wasn’t just one idea; we came up with many ideas and most of them even failed. A few were mediocre and even though some were good, we sold them to others just so we could survive. I can’t tell you the names of some of these innovations and we sold them when they were just conceived but the companies who bought them from us made millions! Loud applause resonates across the auditorium and Sid smiles brilliantly. ‘Oh, that’s good. Everyone here knows Pinch N drop.’ He nods to no one in particular before continuing to speak. ‘When we developed it, at least 50 VCs rejected it and we almost shelved it’, Sid says. There’s an almost audible hush in the audience. Everyone’s surprised. 'See, a straight line is the shortest path between 2 points. So there’s no point in taking short cuts. Always do what’s right. A short cut might yield a lot of gains initially but inside, you will always know the truth. The day you are unable to face yourself because of your short cuts will probably be the worst day of your life. Never compromise on your principles. These and your values make you the person you are!’ Sid shakes his head and takes a deep breath and goes on. ‘I ask you to consider my own example. We were getting desperate and our families were getting jittery. But we stayed put. We had a few options that we thought were a bit underhanded and hence we rejected them. We managed to survive just so we could stay on the straight path and focus. We prevailed and hence we can proudly claim our success, whatever little it may be, as ours and not compromised.’ There’s a thunderous applause as the audience looks at Sid with renewed respect. The camera zooms to Sid’s face in a close up and Yash can see that he’s brimming with confidence. Yash recalls his mother telling him about Sid’s insistence on never paying bribes, on never jumping signals, never taking short cuts of any sort. It often irritated many people who would claim that everybody was doing it while Sid would merely respond that someone had to change and the change began with him. ‘You don’t need a Batman to save Gotham city. I mean – you don’t need a Super hero to save our beloved Bangalore. All we need is ‘us’ – the normal everyday heroes and we can do it! Since the day I've arrived in Bangalore, everyone has been asking me, what’s next. I think saving Bangalore will be my next. What's yours? The camera moves towards the audience who are giving Sid a standing ovation. Sid smiles, waves and walks away from the stage. Yash closes the video, wondering why a man brimming with such confidence would take such a step just five days later. Watching the video hasn’t offered any clues but has merely hardened his resolve to find the truth. In those painful days stewing in the aftermath of his father’s suicide, Yash had scanned his father’s business transactions with a kind of fervour, hoping to find some clue, somewhere. But his father had seen the kind of success that everyone dreamt of but few achieve. On the business front, his father had made millions with his innovations or by exiting ventures at the right time, gaining most profitably. From his investigations, Yash had ruled out the money/business factor as a reason behind his suicide. So what was it then? Yash looks at his watch and does a quick calculation of the time difference. He wants to talk to his mother but she’s probably asleep. He worries about her immensely, wondering when this reversal of roles took place. Seeing her so hurt and affected, Yash wishes he can take away her pain but knows that only time will help her. But in the process it will gnaw at her insides and make it immensely difficult for her to forget and move on. That is why he needs these answers. That is why both of them need closure. Yash picks up his tablet and pulls up his father’s journal. The police were unable to open it because it was password protected and they just gave up because they were treating his suicide as a straightforward case. Yash discovered the journal just before he came to Bangalore and it took him a couple of hours to crack the password. But he has been reluctant to get drawn into it, wondering what it would bring. Now that he’s here in Bangalore, the place where it all happened, he finds that the journal is like an intimate yet elusive connection with his father, one that he wants to sustain. It feels like his father is speaking to him. With a slow shake of his head, Yash starts reading. Buying this book is a small step to ensure that we take part in improving the standard of the society we live in.Barring expenses, the entire money collected through sales of this book shall be donated to WARDS and the Community Service projects of Rotary Bangalore Indiranagar. WARDS is an organization for non-profit providing support to individuals suffering from autism, cerebral palsy, multiple disabilities and mental retardation. It is run by Mr.Kathavarayan for the last 25 years. Being visually challenged from a very young age has never deterred him from being a great visionary and he has helped change the lives of many young children. When you buy from us directly, there are fewer costs that cut into the amount that WARDS and Rotary Bangalore Indiranagar will receive eventually. Think about it. If you’re interested, you can send us an email to bebangalored@gmail.com. We will reply to you with our account details and send you a copy of the book directly. We have all been beneficiaries of the great Bangalore story. The meteoric rise of Indian IT & ITES industry became synonymous with Bangalore. The city grew beyond everyone’s imagination, but the administration and government never caught up. Every apartment, every house opting not to re-harvest rain water or conserve or refill ground water is contributing for water-less days ahead. There are a few villages around Bangalore where apparently you may get beaten up if they get to know you are from Bangalore! That’s just because they are at the receiving end of all that garbage. Bangalore’s traffic woes are never ending and while land grabbing and greed has been at its peak in India as a whole, it’s grown to the extent that almost 75 to 80% of contestants for elections in 2013 were builders! We don’t need a Batman to save our city - there are hundreds of “Harvey Dents” working to save it already! The Bangalore Metropolitan Task Force is an amazing institution that instills fear in the otherwise wayward and corrupt offices like BBMP and the City Corporation. Just an email to them would suffice! Janaagraha is a non-profit organization based in Bangalore, India. It works with citizens and the government to improve the quality of life in Indian cities and towns. Whether it is voter awareness, corruption, area security, policy reforms, or urban training, they are at the forefront. The best part is that it’s run like a professional corporation or an enterprise. This brings out professionalism, visibility, funding - everything in the right measure to push it to the front. Visit http://www.janaagraha.org/ to know more about them. WARDS is an organization for non-profit, providing support to individuals suffering from autism, cerebral palsy, multiple disabilities and mental retardation, identified from various slums in Bangalore. In this endeavor to bridge the gap between these children and others in the same age group, WARDS has come a long way helping these children cast aside their weaknesses and fight their way through life, without a trace of inhibition. It is primarily run by Mr.Kathavarayan for the last 25 years who is visually challenged from a very young age although this has never stopped him from working for the children’s future. 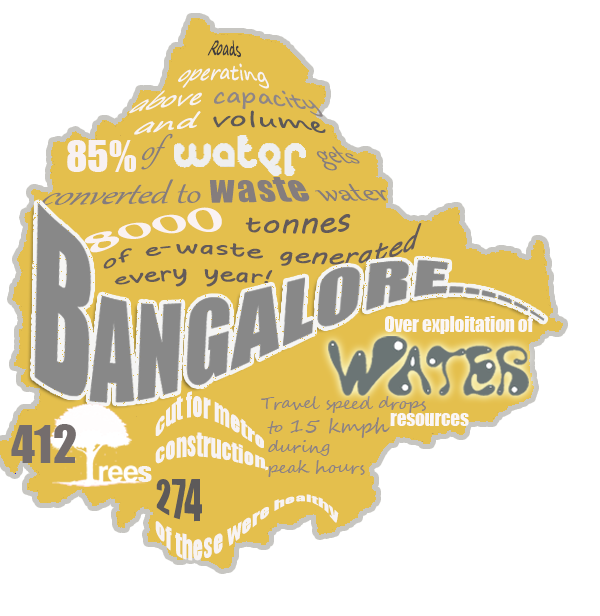 Visit http://www.wardsbengaluru.org/ for more details. Karunashraya is one of RBI’s flagship projects- a hospice that takes care of terminally ill cancer patients. RBI has been instrumental in changing lives of many women in many villages around Bangalore in terms of helping them create self-employment . They have been doing various projects right from raising nearly 18,000 blood units , conducting many eye and free open heart surgeries, providing mid-day meals in schools, etc . Visit http://karunashraya.org to know more about them. 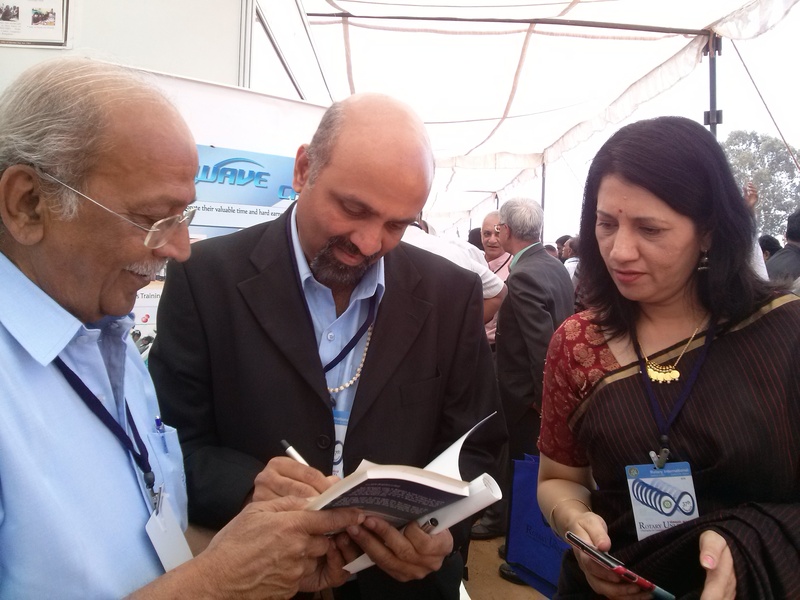 At the Rotary Conference that was held on 8th and 9th February, 2014 at Palace Grounds, Sanjay's book was displayed at the Quadwave stall. There were quite a few interested people who bought the book and got it signed by him. Upcoming events to be announced soon.